Compared to their counterparts in high-income countries, small and medium enterprises (SMEs) in low-and-middle-income countries are often less productive, grow slower, and hire fewer workers. In Mexico, researchers are testing whether this lagging productivity could be due to lower managerial capacity. They found that providing subsidized managerial consulting to Mexican SMEs boosted their productivity and hiring. In 2013, small and medium enterprises (SMEs) accounted for 99.8% of enterprises and 72.3% of employment in Mexico. However, many of these firms fail to grow.1 Addressing the factors that constrain SME growth could boost developing countries’ long-term economic growth and employment. While management practices and skills vary widely across firms in a given country, there is little evidence around whether consulting services can help improve management of SMEs, and if so, whether these management improvements are enough to change firm performance. Additionally, management consulting services are generally costly, and organizations working in private sector development have struggled to scale these programs in a cost-effective way. If alleviating managerial capital constraints improves firm performance or hiring, it could suggest a path towards SMEs growth. This study took place in the state of Puebla, Mexico, which comprises both urban and rural areas to the east of Mexico City. The vast majority of the firms in Puebla are SMEs, engaging in small-scale manufacturing or the provision of services. The intervention was conducted in collaboration with Puebla’s Institute for Productive Competitiveness (IPPC, in Spanish), a state agency that worked with small and medium-sized enterprises to improve their productivity. 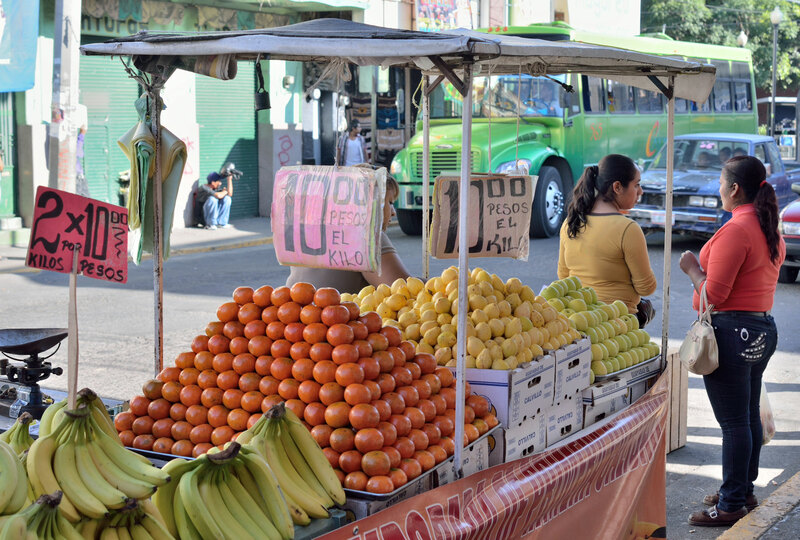 Researchers worked with IPPC to evaluate the impact of providing subsidized business consulting services to SMEs on the managerial practices and productivity of small and medium-sized businesses in the Puebla area. Of 432 firms that expressed interest, 150 were randomly selected to receive an offer of subsidized consulting and mentoring services for one year. The other firms did not receive this offer, and served as a comparison group. The IPPC program matched participating enterprises with mentors from nine local consulting firms, according to specialties and needs, and subsidized 70 to 90 percent of the cost of the consulting services, depending on enterprise size. Enterprise owners and the consulting firms decided jointly on the focus and scope of the services based on a day-long diagnostic consultation together. Over the course of the following year, enterprise owners met with their consultants for four hours per week. Consultants provided guidance and support for improving business practices, including goal planning, business strategy, human resources solutions, market analysis, and strategies for increasing profitability. To measure firms’ productivity, researchers surveyed businesses for information including sales, profits, and assets, as well as business practices at the beginning and one year after the end of the program. They also collected wage and employment data from the Mexican Social Security Institute for the two years before the study period and each of five years following it to compare longer-term enterprise growth. Eighty of the 150 firms in the treatment group accepted the offer of consulting services. Among those that declined, most cited insufficient funds to pay the fee for the services. Despite this low take-up rate, results demonstrated that the consulting services were effective at boosting productivity and hiring among SMEs through improvements in a variety of business practices among the firms. Business productivity: In the short term, one year after the program, the firms offered consulting services demonstrated a 0.21 standard deviation increase in productivity, measured as an increase in sales after adjusting for the number of employees and assets within a firm. These firms also reported a 0.22 standard deviation increase in returns on assets. Additionally, owners and managers of the firms who were offered consulting showed an increase in “entrepreneurial spirit,” an index that measured entrepreneurial confidence and goal setting practices. Business practices: These improvements in productivity may have been partially due to firms’ improved business practices in marketing and accounting. One year after the program, 57 percent of treatment firms reported making a new marketing effort in the last year, relative to 44 percent of comparison firms, and 93 percent of treatment firms reported keeping formal financial accounts, relative to 85 percent of comparison firms. No other significant changes were found in nine other areas of business practice; researchers hypothesize this may be because the consulting services were highly personalized, and enterprises chose to focus on different aspects of their businesses. Business hiring: The firms offered consulting services employed more workers in the year after the program; this effect grew each year through the following four years. In total, over the five years, the number of employees in these firms grew 5.7 employees, or 57 percent relative to the comparison group, and total wages paid grew by 72 percent, an increase of approximately US$125. These results suggest that customized consulting services can improve managerial skills and lead to significant increases in productivity among SMEs. Services personalized to each firm’s needs may lead to these improvements through a variety of channels, including improved marketing and accounting practices. Further research is needed to understand how pricing affects access and availability of consulting services; how consulting services could affect firms of various sizes and characteristics; and how best to scale and target these services in a cost-effective manner. Miriam Bruhn, Dean Karlan, and Antoinette Schoar, 2018 "The Impact of Consulting Services on Small and Medium Enterprises: Evidence from a Randomized Trial in Mexico," Journal of Political Economy 126(2): 635-687.